Sometimes people fall out of love … with your newsletters and email marketing. Or change jobs. Or email providers. There are a million reasons why they stop reading and engaging with your emails. This is why email marketers need to run win-back campaigns. That is, reaching out to inactive subscribers and compelling or convincing them to re-engage with your email sends. If they don’t re-engage, it’s time for a list cleansing — no longer sending emails to this group. The end result can be painful in some ways; it will likely result in a smaller email list (and the older the list is, the more shrinkage you will experience). This is only painful because we all like big numbers. 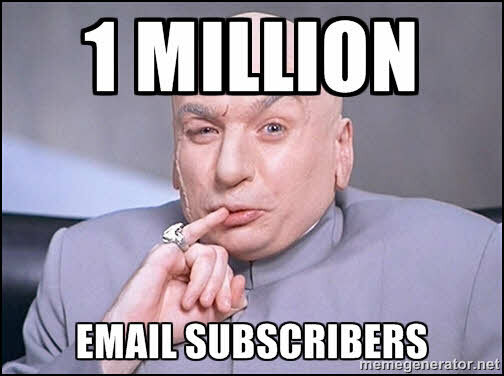 We like to tell our CMO, our clients and brag to our childhood friends at the high school reunion (hey, when they’re all doctors, you gotta brag about something) about how we run email marketing to a list of 1,000 … 10,000 … no … one million email subscribers. Take heart, dear email marketer. There are many things more important than the size of the email list. If you’re just sending emails into the abyss, you’re not serving either of these goals. However, if you clean your lists regularly and are only sending to those who really want and engage with your email, you are improving the likelihood that those who actually want your email will receive it (see: “Email Marketing Chart: How to improve deliverability“), in addition to protecting your brand by not annoyingly filling the inboxes of people who don’t want to hear from you. At MarketingSherpa, we don’t have X-ray vision. We can’t leap tall buildings in a single bound. We are human marketers, just like you. I say that because, sometimes when I engage with the audience, their expectations are that we do everything perfectly. Let me honestly say, we do not. We have the same limitations as you. However, we do have one advantage — access to some of the smartest minds in marketing who are gracious enough to share the details of their successful practices. 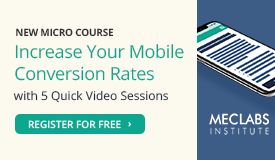 We are about to launch a win-back campaign and list cleanse for the MarketingSherpa case study and chart data newsletters, as well as the newsletter for our sister publication, MarketingExperiments, and our parent research institute, MECLABS Institute. (If you haven’t been active lately, make sure to clickthrough the email when it lands in your inbox. Or, even better, use the links above to subscribe to the case studies and industry data you’d like to receive). In leading up to our own win-back campaign, I reached out to a marketer who has performed some interesting campaigns herself to get some advice. I’m going to share what I learned with you today. Diana Primeau is Director of Members Services for CBS Interactive and works primarily on CNET, the well-known technology news website that publishes reviews, articles, blog posts, podcasts and videos on technology and consumer electronics. She manages an email list of millions of subscribers, and has shared her discoveries with marketers at previous MarketingSherpa Summits. We talked for almost an hour. She gave me a good idea for our own win-back campaign, but mostly I was impressed by how Diana is always trying to challenge the status quo. Here are a few ideas from Diana that can help you launch a successful win-back campaign. Like good email marketers, Diana and her team — Doug Vargas, Production Manager, Member Services User Engagement Team, and Kathleen Borg, Associate Email Marketing Manager and Audience Development Strategist — segment their list based on the type of content topics that interests their audience. “We have been doing win-back campaigns forever. What’s different about this is, we had recently moved onto a new email platform and we had access to all this new great customer data,” Diana said. 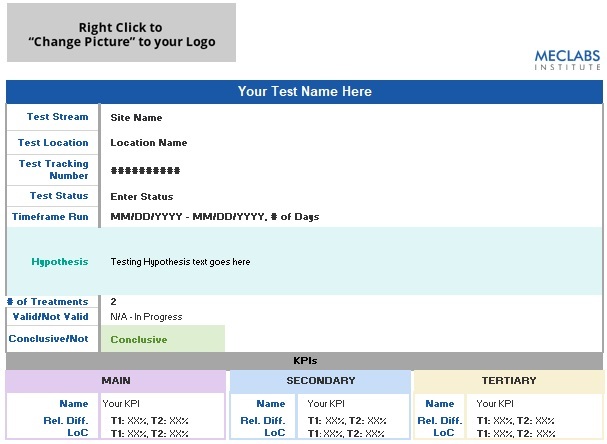 Diana and her team used that segmentation information in their win-back campaign. “With help from our research group, we created an uber persona of a user who clicks on a newsletter and comes to the site. From there, based on users’ actions, we created 14 dynamic segments that are automatically updated as we add new users and our users’ behavior changes,” Diana said. For CNET, these segments are based on the type of technology products readers are interested in. For example, Apple fans, smart home and appliances, Microsoft, etc. 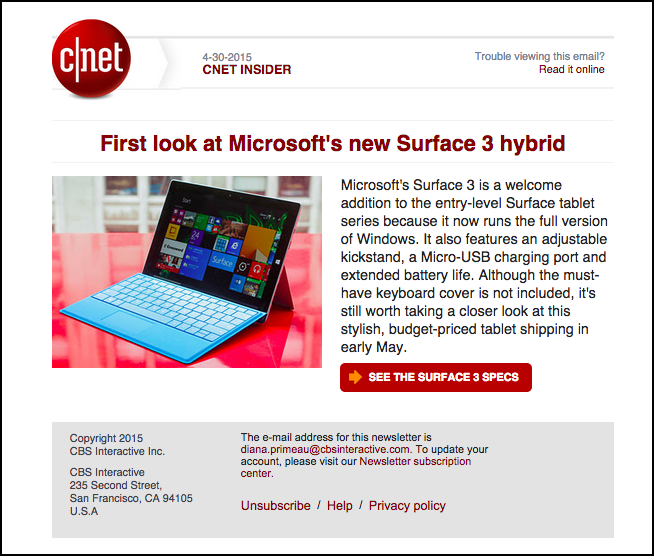 For this reason, CNET subscribers are not only put into one persona and then only receive information on one topic. They may receive primary information fitting one persona and secondary information fitting a different persona or personas based on their behaviors. Typical win-back campaigns usually have messaging that acknowledges the recipient hasn’t engaged. “We miss you.” “We notice you haven’t read our email in a while.” You get the idea. 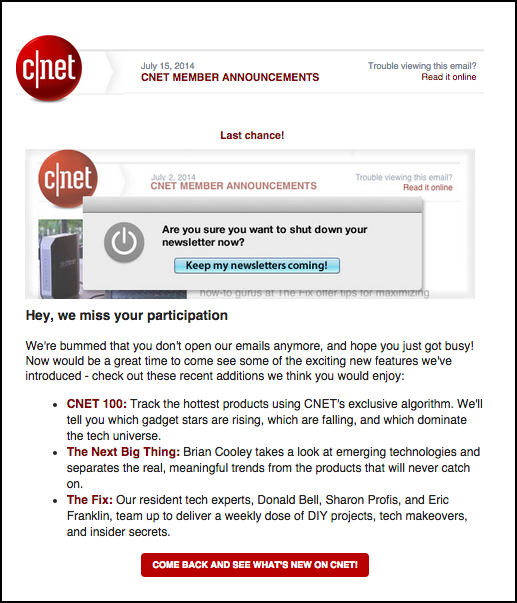 This was CNET’s approach as well — a batch and blast send to all inactive subscribers. Subject Line: Last chance: Is this goodbye? CNET will miss you. The average engagement was typically eight to ten percent, and Diana taught about this approach in her MarketingSherpa Email Summit 2013 case study. They created a campaign that didn’t mention any of the typical win-back language. 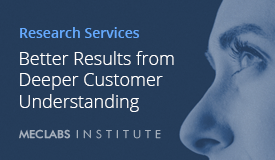 Instead, they looked into CNET’s website analytics and email click data to find the most popular piece of content for each of the behavioral personas mentioned above and sent that content as the re-engagement email. During this time, inactive subscribers were suppressed from CNET’s traditional sends, so this was the only email they received from CNET. Here is the soft win-back email sent to subscribers with Microsoft behaviors, indicating they are interested in content about Microsoft products. By sending the most popular relevant content to subscribers, Diana’s team more than doubled their results. This new soft win-back campaign was able to re-engage 26.48% of inactive users. To build on the momentum of this successful campaign, Diana’s team has moved beyond running one-off “campaigns” and has instead set up an automated drip campaign to constantly keep the list clean. “‘New’ and ‘active’ users are not part of the automated [win-back] series. When a user becomes ‘defining’ they receive the first win-back message, ‘at risk’ the second and ‘inactive’ the last and final message,” Diana said. First automated win-back send — Dynamically generated send with the current, most relevant recent story pulled from an RSS feed based on the subscriber persona. Includes a headline, picture, story summary and link. Underneath the main story are bullet points with headlines and links to further stories. The subject line is auto-generated, based on the headline of the first story. Second automated win-back send — This is similar to the successful soft win-back email that generated a 26% re-engagement rate; however, it includes messaging about the subscriber’s inactivity. Unlike the dynamically generated first automated send, this content is hand-picked and updated every three months. Third automated win–back send — This has a more aggressive subject line and a “we miss you” message. It is clear that, if the recipient doesn’t respond, they will not receive more email. It includes three relevant pieces of information, based on the subscriber’s persona, that it encourages them to click on. “It’s about them, what’s interesting to them and asking them to click,” Diana said. If they open email number one or two, CNET will put them back in the active group and they will receive email again. However, the third email requires both an open and a click. “At that point … they’re so far down the funnel, you want them to click, too,” Diana said. Diana couldn’t share the results of this effort just yet, however. “I don’t have enough data that I feel like I can give you good statistically relevant numbers for the automated pieces. Because the triggered sends happen over time, I feel like I need to have another three to five months of data before I can give you statistically relevant data,” she said. While win-back campaigns and list cleansing are effective ways to improve your email marketing, it’s important to understand that email subscribers aren’t only active and receiving tons of email or inactive and totally kicked off your list. There is a range of frequency that will be served to email subscribers based on their activity. For this reason, re-engagement does not necessarily mean throwing these subscribers into one giant bucket of active users for CNET. You can follow Daniel Burstein, Director of Editorial Content, MarketingSherpa, on Twitter at @DanielBurstein.